This article is a summary of 1979 in Australian television. This is a list of Belgian television related events from 1979. The Miracle Worker is a cycle of 20th-century dramatic works derived from Helen Keller's autobiography The Story of My Life. Each of the various dramas describes the relationship between Helen, a deafblind and initially almost feral child, and Anne Sullivan, the teacher who introduced her to education, activism, and international stardom. Its first realization was a 1957 Playhouse 90 broadcast written by William Gibson and starring Teresa Wright as Sullivan and Patricia McCormack as Keller. Gibson adapted his teleplay for a 1959 Broadway production with Anne Bancroft as Sullivan and Patty Duke as Keller. The first movie, also starring Bancroft and Duke, was released in 1962. Subsequent made-for-television movies were released in 1979 and 2000. Televisión Española is the national state-owned public-service television broadcaster in Spain. TVE belongs to the RTVE Corporation which has overall responsibility for national public-service radio and television under a Parliament-appointed General Manager who, as well as being answerable to a Board of Directors, reports to an all-party committee of the national parliament, as provided for in the Public Radio and Television Law of 2006. 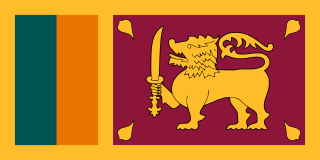 Television in Sri Lanka dates back to 1979. Television broadcasting, like other forms of media in the country, is generally divided along linguistic lines with state and private media operators providing services in Sinhala, Tamil, and English languages. The AACTA Award for Best Film is an award presented by the Australian Academy of Cinema and Television Arts (AACTA), a non-profit organisation whose aim is to "identify, award, promote and celebrate Australia's greatest achievements in film and television." The award is presented at the annual AACTA Awards, which hand out accolades for achievements in feature film, television, documentaries and short films. From 1969–2010, the category was presented by the Australian Film Institute (AFI), the Academy's parent organisation, at the annual Australian Film Institute Awards. When the AFI launched the Academy in 2011, it changed the annual ceremony to the AACTA Awards, with the current award being a continuum of the AFI Award for Best Film. The AACTA Award for Best Actress in a Leading Role is an award presented by the Australian Academy of Cinema and Television Arts (AACTA), a non-profit organisation whose aim is to "identify, award, promote and celebrate Australia's greatest achievements in film and television." Christian Television Network (CTN) is a non-profit broadcast television network of small owned-and-operated stations (O&O) that broadcasts religious programming. It is based in Largo, Florida, and the flagship station is WCLF channel 22, which signed on the air in the Tampa Bay region in 1979. It is now available on DirecTV channel 376 and Dish Network channel 267/9399. It was founded by Robert D'Andrea, who is still the president. The AACTA Award for Best Actor in a Leading Role is an award presented by the Australian Academy of Cinema and Television Arts (AACTA), a non-profit organisation whose aim is to "identify, award, promote and celebrate Australia's greatest achievements in film and television." The award is presented at the annual AACTA Awards, which hand out accolades for achievements in feature film, television, documentaries and short films. From 1971–2010, the category was presented by the Australian Film Institute (AFI), the Academy's parent organisation, at the annual Australian Film Institute Awards. When the AFI launched the Academy in 2011, it changed the annual ceremony to the AACTA Awards, with the current award being a continuum of the AFI Award for Best Actor in a Leading Role. Events from the year 1979 in Denmark. Northland Communications was an American cable television, telephone and internet service provider with systems in various portions of the United States. Northland Communications currently owns and operates smaller-market cable systems in Alabama, California, Georgia, Idaho, North Carolina, South Carolina, Texas and Washington. Northland is headquartered in Seattle, Washington and has a divisional office in Statesboro, Georgia. As of November 13th, 2018, Northland has been acquired and is now believed to be owned and run by Mega Broadband Investments. Nickel Flicks is a children's television series that premiered on Nickelodeon in 1979 as one of the network's inaugural programs. It showcased "cliffhanger" serials from the 1920s–40s, in addition to early comic one-reelers and silent short films. It was hosted by producer John Moschitta, who later became famous as the "World's Fastest Talker" in commercials for FedEx. This was Moschitta's first on-camera television role. Nickel Flicks was notably the first Nickelodeon show to be cancelled and the shortest-lived out of Nickelodeon's inaugural series; according to Moschitta, it was cancelled due to complaints about the violent nature of many of the serials.